It’s the day after Christmas, and chances are that if you’ve already celebrated with your family, you may have a little extra spending cash burning a hole in your pocket. If you’ve had your eye on something from Majik Ninja Entertainment for a while, then now may be the time to think about picking it up! Biggest Sale of the YEAR! 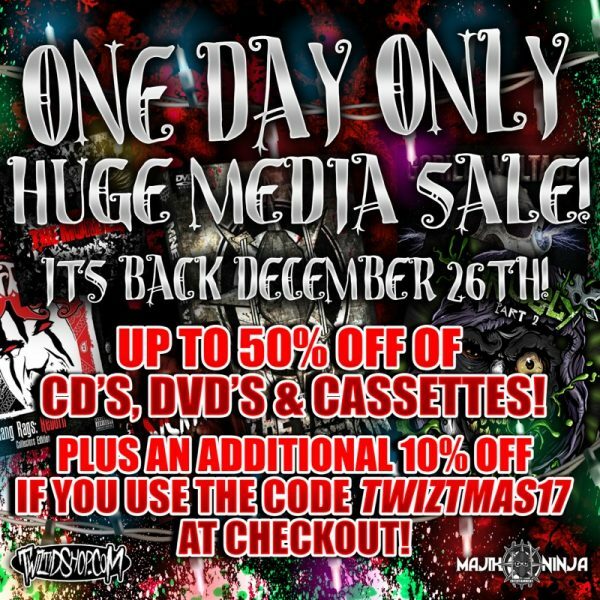 UP to 60% off Media and 10% off site wide!! PROMOTION EXTENDED!!!! 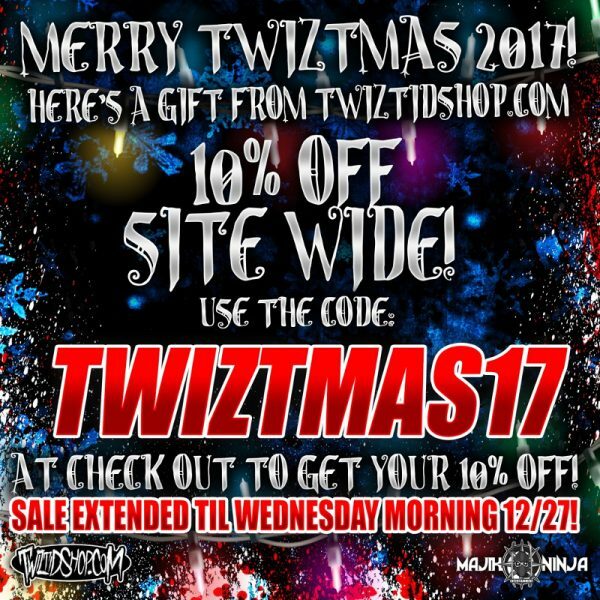 A GIFT FOR YOU FROM TWIZTIDSHOP.COM!!! MERRY TWIZTMAS 2017!!! For the first time ever we have created a coupon code just for you only available through the newsletter!! Enjoy 10% your orders site wide for the next 24 hours only!!! Use the code TWIZTMAS17 at checkout to get your 10% off and have a very merry TWIZTMAS!! Its Back December 26th, 2017 Up to 50% off of CD’s, DVD’s and Cassettes. And dont forget you can get an additional 10% off if you use the code TWIZTMAS17 at checkout. This is the last SALE of the season so if you missed out make sure you get these while they last. ASTRONOMICON, The Newest Pop Culture Convention taking over Metro Detroit, is getting in the Holiday spirit with a little savings of their own!!! Thats right this weekend only you can get $20 off your 3 Day Weekend Admission Passes over at Astronomicon.com! !